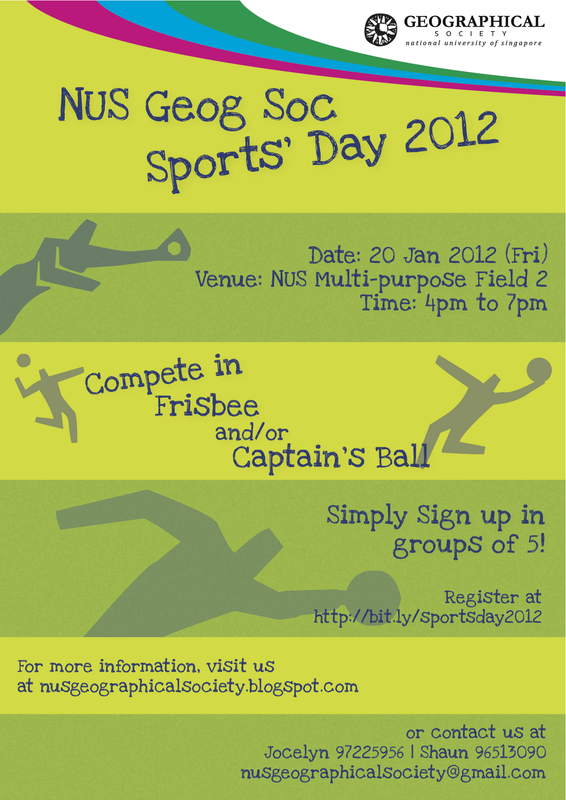 Geog Soc's Sports Day 2012! 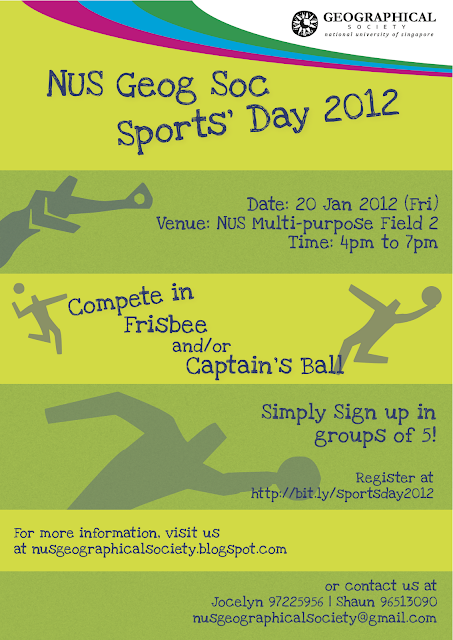 Just grab a team of 5 and sign up with us today HERE! Registration ends 16th January, 2359.